Are you using your phone to your greatest advantage? Sure you nearly achieved the high score on Tapped Out and your Facebook messenger is jam packed with the latest gossip and photos. However you can use your phone or tablet for more than just fun and games. 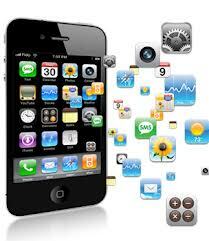 In fact, a smart user knows that many apps exist solely to save you money. Download these money saving apps to maximize your bargain hunting power, manage your bank statements and even control your home heating costs. No room left on your rectangle? Consider removing a game like Fruit Ninja or a social app like SnapChat to make room for these money saving apps. The value of the savings they provide might just allow you to upgrade to a phone with more memory. An early entry to the app market, the Red Laser app continues to offer savvy shoppers the chance to find the best deal. Users simply scan barcodes and this smart app lets users know what the best price available on the product giving consumers the opportunity to decide between waiting for savings and immediate gratification. Red Laser also offers product information beyond pricing such as nutritional information and loyalty card management. Similarly, Decide.com’s app offers users shopping for electronics a valuable cost comparison tool. In addition to providing price comparison, the Coupons app generates a list of local coupons for users. Daily deals sites like Groupon and Amazon Deals offer their daily coupons via tablet or smartphone allowing a paperless couponing experience. Users simply show and scan the coupon for bargain basement prices on anything from dining deals to hang gliding lessons. Mint and Expensify both allow users to monitor their finances with the flick of a finger. Mint helps track everything from bank accounts to credit score. Expensify pulls data from all credit cards to compile a comprehensive expense report. ATM Hunter helps you find a money machine nearby, and allows you filter the results by bank allowing your to avoid costly fees. With prices at the pump constantly in flux, GasBuddy allows users to find the best rates in their area through a convenient app. Gas Buddy requests that users contribute gas pricing information to provide the most complete and up to date gas pricing data available. Contributing users get a free entry for a gas gift card each week they log information. Gas Buddy also offers a trip cost calculator allowing you to plan for fuel costs when travelling across country. Nest provides homeowners a dynamic app that interfaces directly with the thermostat giving users the ability to control their home climate control settings remotely from a tablet or smartphone. Nest learns user habits and preferences and adjusts thermostat settings accordingly throughout the day. Competing Texas energy providers offer several options for managing the cost of climate control. Utility Reliant provides interface support for Nest while also offering Ecofactor, a cloud based app that allows users to monitor and adjust their energy use. TXU on the other hand utilizes the iThermostat app to allow customers to monitor and control their thermostat. Research TXU and Ecofactor at http://www.texaselectricityproviders.com to compare thermostat apps and compare utility rates. Finding big savings is as simple as downloading one or two of these hand money saving apps. Swipe away from Twitter just long enough to search, click, and download to save away!